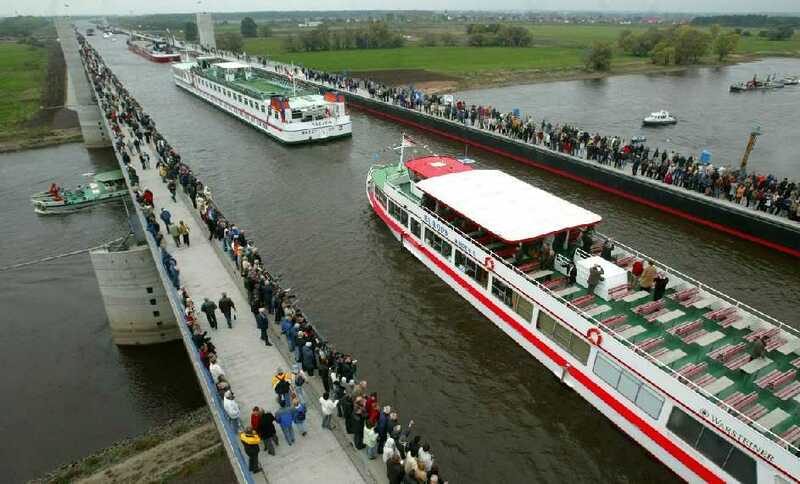 of Magdeburg, near Berlin ..
of ship and barge traffic, or just the weight of the water? Scroll down to check if your answer is correct. as the ship, regardless of how heavily a ship may be loaded. Remember your high school physics, and the fly in an enclosed bottle project??? whether the fly was sitting on the bottom, walking up the side, or flying around. sherikkum mandanmaara.. oru signal lightnte avashyame undayirunnulloo..
Visadamayi kandittu njna reply podalaamm.ippo full pic open avanilla.. I am proud about Engineering. Thank you for the share, Musthukka. Avasaanam paranjnja rule sariyalla ketto. Bridge design cheyyumbol valareyadhikam load calculations vereyum unt, Oru pakshe main concept mukalil paranjnjirikkunnathaakaam. Water Slide Webcode From Beary Newsworthy!